The most populous city and busiest port on the east coast of Africa, Durban is a vibrant and interesting city set in the municipality of eThekwini (a Zulu name meaning ‘Place of the Sea’). 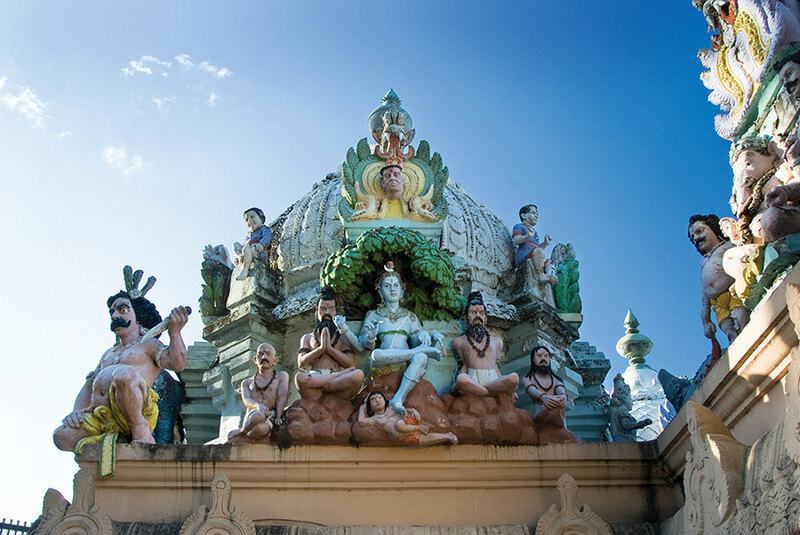 A substantial Indian population and sticky subtropical coastal climate combine to give Durban a slightly Asiatic feel, but the city’s main attraction is its fine beaches and sunny coastlines. The urban setting will appeal to those seeking a more down-to-earth, lived-in experience than one tends to associate with other beach resorts. Durban lies midway along the KwaZulu-Natal South Coast, a 200 km stretch of subtropical Indian Ocean frontage stretching from the Tugela River Mouth south to the border with the Eastern Cape. This is South Africa’s most conventional beach holiday destination, a beach nirvana strung with palm-fringed expanses of broad white sand. Unlike Cape Town, the beaches around Durban cater mainly to domestic holidaymakers from landlocked Gauteng, and thus tend to get congested over school holidays and long weekends (especially around Christmas and Easter), but to be quiet at other times. South Africa’s most resort-like urban beach, Durban’s Golden Mile is divided from the CBD by the pedestrianised OR Tambo Parade. Protected by shark nets and patrolled by lifeguards, the beach is ideal for swimming, sunbathing and surfing, though it can get very crowded during peak season. TheuShaka Marine Worldhouses the largest aquarium in the southern hemisphere. Marine life is on show where dolphins, seals, sharks, rays and penguins are the main attraction. Attached to this child-friendly installation is the Shaka Wet ‘n’ Wild Waterworld, a family fun park that incorporates the country’s largest waterslide. Landmarks associated with Durban’s Indian population include the golden-domed Juma Mosque, the largest building of its type in southern Africa, and the less central Alayam Hindu Temple. The central Durban Botanical Garden includes fabulous collections of prehistoric cycads and rare orchids. Durban’s most ecologically important conservation area,Beachwood Mangroves Nature Reserve offers a rare opportunity to see mangrove dwellers such as the brilliant mangrove kingfisher and quirky mudskipper fish from a wooden boardwalk. The popular resort town of Umhlanga Rocks, 20 minutes drive north of Durban, is home to the KwaZulu-Natal Sharks Board, where lifelike replicas of various sharks and rays can be viewed along with an audiovisual display emphasising the importance of these oft-maligned creatures in the marine ecology. Ballito, 40 km north of Durban, is a thriving and well-equipped upmarket resort town with a 2.5 km long beachfront promenade and plenty of family friendly activities on offer. Its Willard Beach is ideal for swimming while Boulder Beach is popular with surfers. A succession of wonderful beaches run along the 120 km stretch of coast south from Durban, among them Amanzimtoti, Umkomaas, Scottburgh, Port Shepstone, Margate and Ramsgate. Excellent snorkelling and diving opportunities are available at reefs and wrecks offshore of Amanzimtoti, Umkomaas and Shelley Beach. 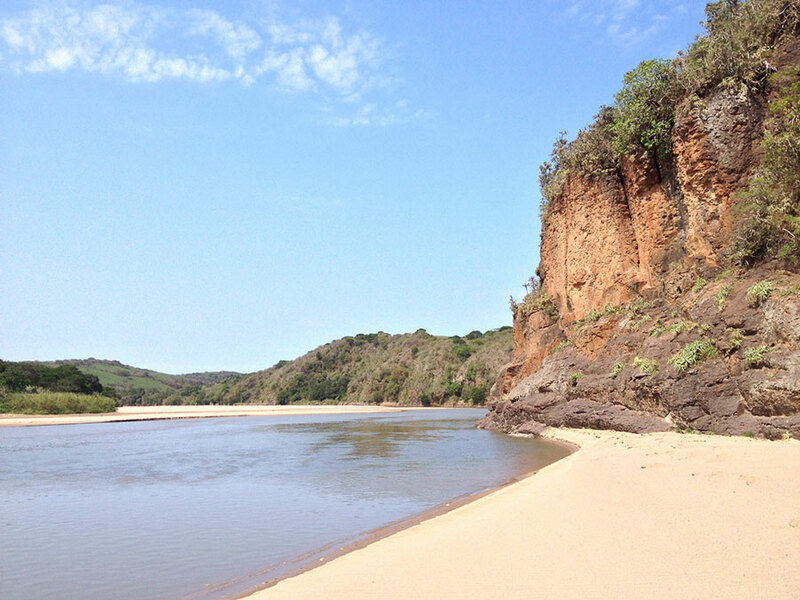 Protecting a forested river gorge on the Eastern Cape border, Umtamvuna Nature Reserve offers some lovely coastal and forest hiking, and it harbours various small antelope, along with a breeding colony of the endangered Cape vulture. Durban is connected to Johannesburg, Cape Town and many other large centres by several flights daily. All flights land at King Shaka International Airport, 35 km north of the city centre. The usual car rental agencies are available here, and airport shuttles and taxis are available to get you to the city center or elsewhere on the coast. There is no shortage of hotels in Durban and the city is also serviced by many B&Bs and backpacker hostels. Hotels and resorts can also be found all along the coast flanking Durban, with Ballito and Umhlanga Rocks being particularly well endowed when it comes to stylish upmarket lodges. Indian cuisine is well represented in Durban and good seafood can be had throughout the region.